As part of the ongoing relationship between VisitScotland and the Family Holiday Association, charity Director John McDonald and Programme Manager John Kinnear attended a round table event in Glasgow on Tuesday (24 January) to discuss the development of social tourism in Scotland. Malcolm Roughead and Peter De Wilde signing the Memorandum of Understanding, witnessed by Fiona Hyslop. Also in attendance were Abellio, ASVA (Association of Scottish Visitor Attractions), Calmac Ferries Ltd, Citylink, Glasgow City Council, Glasgow Life, Hilton Hotels, Historic Environment Scotland, Loch Lomond Sea Life Centre, SYHA and The Steamship Sir Walter Scott Ltd.
Later the same day, VisitScotland signed a new Memorandum of Understanding (MoU) to share best practice with one of its European counterparts. 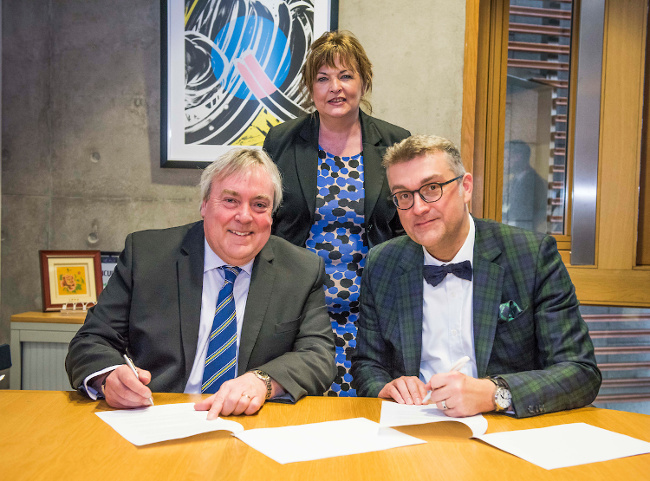 Fiona Hyslop, Cabinet Secretary for Culture, Tourism and External Affairs, witnessed the signing of the renewed agreement by Malcolm Roughead, Chief Executive of the national tourism organisation, and Peter De Wilde, CEO of VisitFlanders, at the Scottish Parliament. Details and results for the two social tourism projects piloted in Scotland in 2016. The Belgian region is a world leader in social tourism, helping 150,000 disadvantaged people a year to enjoy a short break or day out . 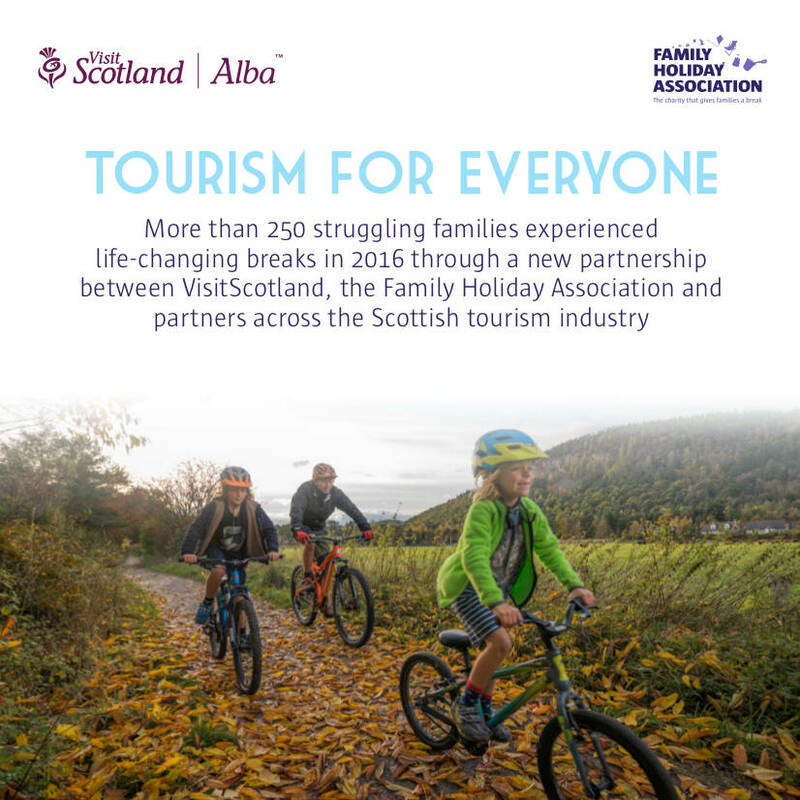 The existing MoU between the tourism organisations helped inspire VisitScotland’s own two successful social tourism pilots in 2016, delivered in partnership with the Family Holiday Association, which last year helped 979 people get a much-needed short break or day trip in Scotland.